Blackheads are small impurities that are often difficult to remove when the proper methods are not used. Blackheads are visible because it appears in the T Zone area of the face, although they can also occur on the back, cheeks and other areas of the body and makes it look greasy and dirty. There are few girls try to eliminate them with makeup. Fortunately, today there are many products and techniques that allow you to remove them easily to enjoy a cleaner and healthier skin. Among this we find a natural method of oatmeal whose properties reduce the excess production of fat while removing those small comedones. One of those good natural ingredients for skin care and elimination of blackheads is oats. This product contains vitamins, minerals and other important nutrients that moisturize the skin and contribute to the elimination of impurities to regenerate it. The great advantage of oats is that it can be applied on all skin types and in all of them acts as a natural exfoliant. Its properties help to cleanse deeply and contribute to the elimination of excess fat in the skin to leave it fresh and renewed. 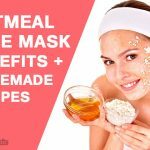 Oatmeal is a very versatile ingredient that we can prepare in different ways to take advantage of its benefits for the skin. 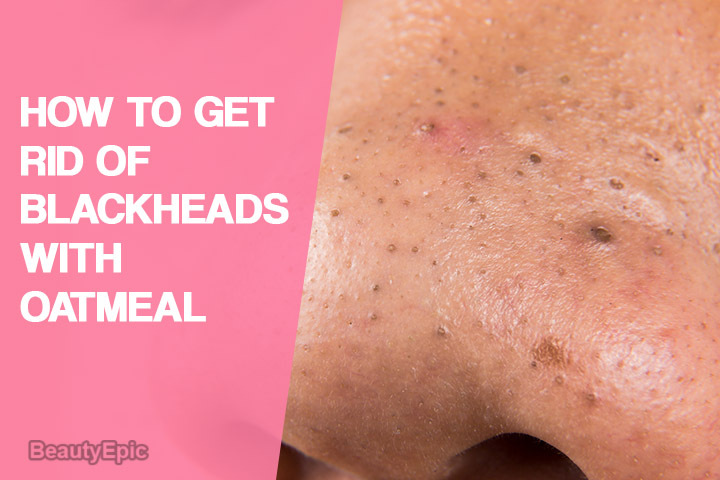 In this case we will see some recipes to combat blackheads. Combining these two exfoliating ingredients you can clean the pores of your skin and eliminate blackheads. Clean your face and apply the mixture on your face avoiding the area of the eyes and lips. Wait for 15 minutes, rinse with cold water. Repetitions: Follow this process 2 to 3 times in a week. Oats and eggs are two ingredients that cleanse the skin deep and help eliminate dead cells that are accumulated by pollution, dirt, sun exposure, among others. This mask regenerates the skin, eliminates excess fat and diminishes the annoying blackheads. 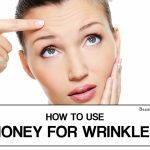 Apply it all over the face with gentle circular massages and let it act for 10 minutes. Finally wash off with cool water. Repetitions: Do this process 2 to 3 times in a week. These two ingredients are usually available in our house. They are easily achieved by just going to the store. We recommend that you buy both the ingredients in organic stores only. 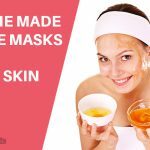 Before using this mask you must wash your face thoroughly with water and dry your face with the clean towel. 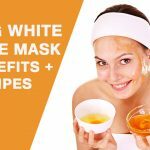 Apply this mixture on your face avoiding the area of the eyes and lips. Let it dry on its own and then rinse with water. Repetitions: Follow this remedy once in a day for few weeks. Finally wash off with water. Repetitions: Repeat the process 1 or 2 times in a week. Eliminate blackheads and dead skin cells with these simple and inexpensive home-made oatmeal scrubs. Do not miss trying them!